At first, it was speculated that the facelifted version of the Toyota Vios is set to get launched in Malaysia. The idea was to retain the design and powertrain but bring in new features that would make the car an appealing choice for the entire family. The latest update for the Toyota Vios provides the much needed USB charger and the 360 degree camera users have been expecting for a long time. The overall design of the car remains the same but minor tweaks are made to make it look sleek, suave. All standard models are now equipped with a digital video recorder, commonly known as the dashcam and there are two new USB ports to charge your devices on the go. The positioning of the USB chargers are accurate as they are just above the gear lever and close to the front cupholders where the phones can rest. 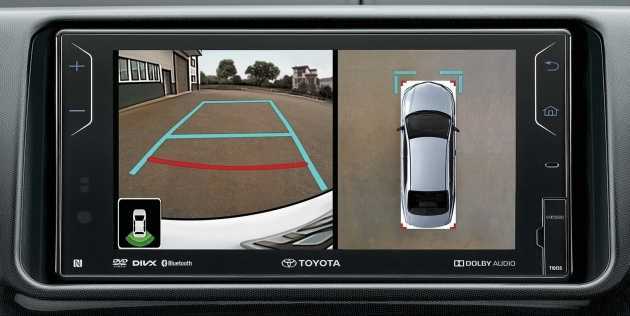 The Toyota Vios E grade edition will provide users with a 360 degree panoramic view monitor. The upgrade will add four different cameras on the car which will be strategically placed in different positions. The video input provided by these cameras will be directly projected to the center touchscreen display giving drivers a way to easily navigate and avoid any obstacles on the road. The model will also be equipped with auto-folding door mirrors on all variants including the G, GX and the TRD Sportivo. Buyers can choose to upgrade their J specification model with the panoramic view monitor if they are willing to spend RM 4,441. Toyota also offers a DVD AVX infotainment system which is found on all variants providing the best of entertainment for Vios owners. The Vios 1.5E owners can choose to pay RM 318 so as to get the convenient auto folding door mirrors in their own car. In order to maintain their audience, the automobile manufacturer has decided to keep the pricing nearly the same. 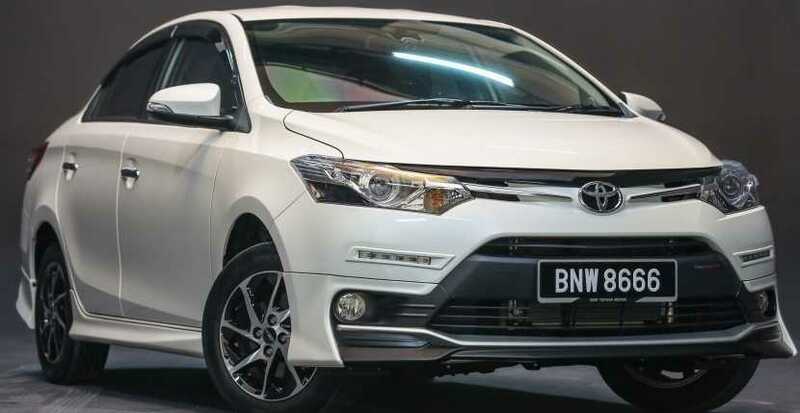 It will allow them to retain existing customers who may choose to buy a new variant of the Vios model or simply upgrade the one that they already one. The Toyota Vios 1.5J with manual gearbox is priced at RM 76,500 and the automatic variant costs RM 79,800. The 1.5E automatic will set you back by RM83,900 and the 1.5G costs about RM 89,800. The top of the line models 1.5GX will sell for RM 92,800 and the TRD Sportivo edition will be sold for RM96,400. Toyota has announced a special offer for those who purchase the car before April 30. Early bird offer provides a cash refund of RM3,000 for those who order the vehicle before this month ends.